B.A.D. Backs 2 Million Bikers to DC Rally | FreeOnePercenter.com… Home of B.A.D. 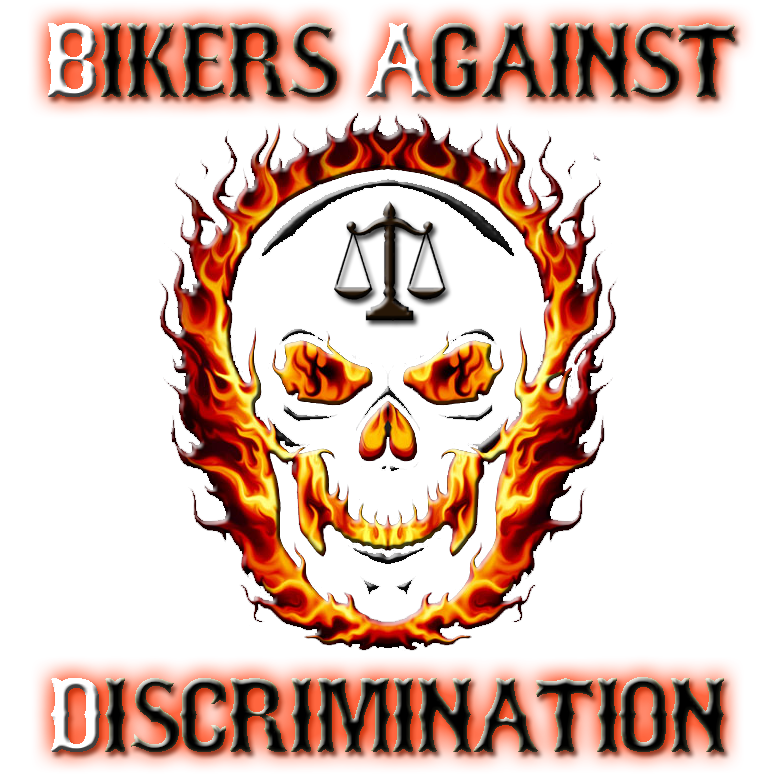 Bikers Against Discrimination and the American Biker Culture Center in NY is providing campaign support to the “2 Million Bikers Rally to DC” scheduled for 9-11-2013 after their recent denial of a permit to rally on Washington DC by the National Park Service on what is deemed by the center as “OUTLAWING THE VOICE OF THE BIKER CULTURE” in an extremely biased and discriminatory fashion. Hank McGrath, Executive Director of B.A.D. and the American Biker Culture Center in Ilion, NY believes the position of the NPS against the 2 Million Bikers Rally is despicable. “I was in Washington DC this year to present a clear case of cultural discrimination (NY-Tyler & Peeps case), bias and unjust profiling of those in the American Biker Culture to members of Congress, the Justice Department and the US Civil Rights Commission and presented CLEAR evidence and cases that were undeniable and those folks simply would not budge to offer support of any kind primarily because there is an absolute government agency approved discrimination against anyone who rides a motorcycle and who lives within that culture regardless of who they are, what part of the culture they are in or how so many have served this country, vote, pay taxes and are the back bone of America,” McGrath said. “We need to breed those folks out and raise our own into leadership of this country. That is how you respond to being treated as second class citizens”! (More on the story can be found at the Blaze via linked picture below). The American Muslim Political Action Committee had also applied for a permit from NPS to rally at Washington DC on the anniversary of 9-11 AND WERE APPROVED WITHOUT HESITATION! Yet, American Bikers who desire to honor those who have lost their lives are denied a permit? Even Glenn Beck agrees this act by the government is dastardly during his recent national radio broadcast! 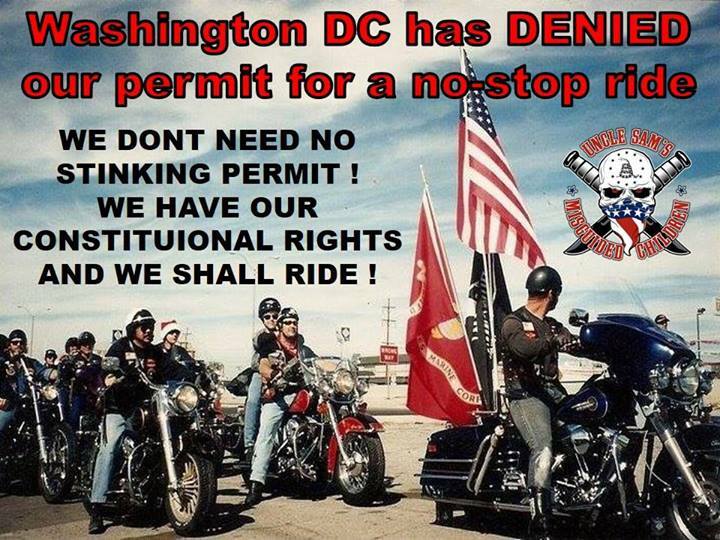 As American Citizens who have the constitutional right to honor their history and address their grievances – especially at the Capital of the United States of America – Those in the American Biker Culture need to rise up in response to this grave discriminatory act and support the 2 MILLION BIKERS TO DC RALLY who will ride without permit upon DC on 9-11! This entry was posted in Alerts, Legislative Actions, News & Events and tagged 1%ERS, 2 Million Bikers To Washington DC, American biker Culture Center, BAD, biker rights. Bookmark the permalink.